I am a longtime Associate of the Los-Angeles-based Institute of Cultural Inquiry. Here are some projects I have done with the ICI over the years. Information about books I have designed for them can be found on the 'books' page. 2016. I created this artist's book during a residency at the Institute of Cultural Inquiry, as part of their With Everything But the Monkey Head project. Forthcoming in 2018 in a trade edition. Feb. 15, 2015. Taped conversation with ICI director Lise Patt at the finissage of the Institute of Cultural Inquiry's collaborative installation-laboratory. Jan.-Feb. 2015. A collaborative installation-laboratory organized by the Institute of Cultural Inquiry. 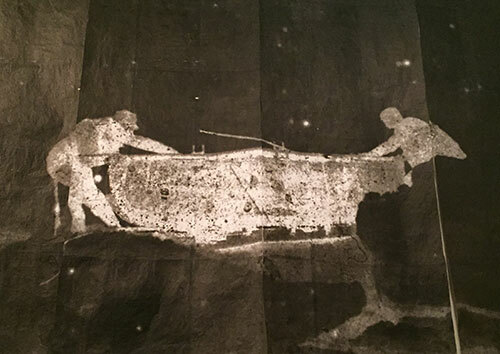 Organized by ICI Director Lise Patt and Associate Christel Dillbohner, it explored the limits and potentialities of photography, using rarely seen and enormously enlarged images from the doomed Andrée polar expedition of 1896. I contributed a unique cache box to the project. May 2014. 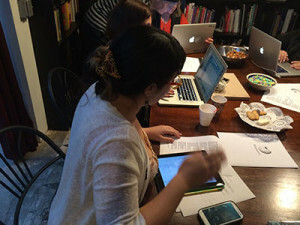 I led an editathon at the Institute of Cultural Inquiry, Los Angeles. It was open to all, and especially to those new to editing Wikipedia. "A Book by Any Other Name"
Feb. 10-April 30, 2014. The Institute of Cultural Inquiry presented a curated display of handmade artist's books, books about books, and book sculptures from the Institute’s archives. Celebrating the convergence of books with other artforms, the exhibition included work by the Museum of Forgery. Saturday, Feb. 22, 2014. I led a Wikipedia editathon at the Institute of Cultural Inquiry. 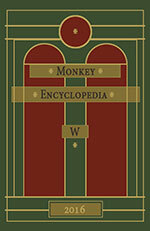 It was open to all, and especially to those new to editing Wikipedia. It focused on artists, scholars, and other visualists who have contributed to the artist book form. Jan. 31–Feb. 2, 2014. I'll be taking part in the L.A. Art Book Fair this year with the Institute of Cultural Inquiry. It's a great event regardless of whether you're into zines or limited editions. Look us up at our booth at the Geffen Contemporary, where we'll have a big selection of ICI Press books and other publications. Through Jan. 31, 2014. 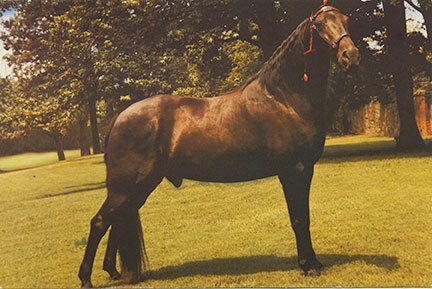 Work by the Museum of Forgery was included in "Geuen Hors," an exhibit at the Institute of Cultural Inquiry, Los Angeles, that paid tribute to the many forms of ‘horses’ that have surfaced at the ICI over the last twenty years. February 2013. 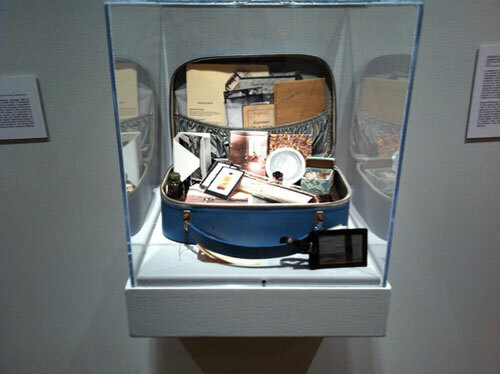 The special "suitcase" edition of Searching for Sebald was featured among new acquisitions of the Long Beach Museum of Art..
2011. A research installation I did at the Institute of Cultural Inquiry with writer Ruth Coppens, as part of the 100/10 series of exhibitions. Two blog posts about the show can be found here and here, and there is more general information here and here. 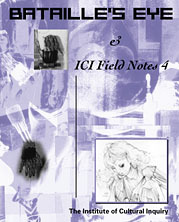 A limited edition of the show catalog, 100/10 is available from the ICI, as is my volume in the catalog, 100/10 #2. 2012. I designed this book, which is a visual exploration of contemporary society through the works of artist and longtime ICI associate Sande Sisneros, with essays by curator Sue-Na Gay and ICI Director Lise Patt. Available from ICI Press. Feb. 27-April 19, 2009. An exhibition at the Institute of Cultural Inquiry that featured a range of the ICI's projects over the past decade. Included documentation of my work with the Plaintext Players, a pioneering internet performance group. 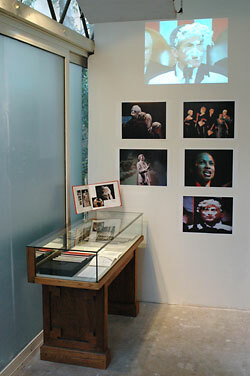 Visible in this photograph of the installation: performance stills, a video projection from The Roman Forum Project 2003, and a vitrine of scripts and other ephemera. 2007. An interactive version of a manuscript that originally appeared in the book Benjamin's Blind Spot (2001). 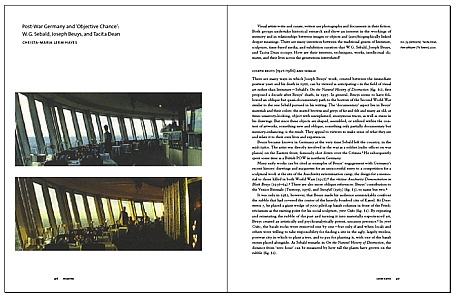 The interactive version was published in the online journal Other Voices, issue 3.1 (May 2007). 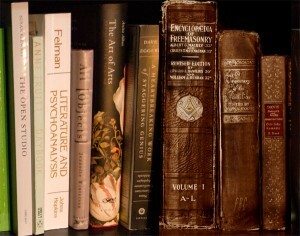 As the introduction notes, "This site offers an overview of what is presently known about the Manual, together with a sample of pages from the manuscript, including a number that have never been made public before.... [in the hope] that this will help facilitate further research on the Manual. 2003. Exhibition of "The AIDS Chronicles," a project of the Los-Angeles-based Institute of Cultural Inquiry to draw attention to the nature of AIDS reporting in the New York Times. I was one of the co-organizers of this show at the Sam Francis Gallery (Santa Monica, CA), celebrating the project's tenth anniversary. More on the 2003 "AIDS Chronicles." The Institute of Cultural Inquiry's web page about the "AIDS Chronicles." 2003. Invitational show at Sam Francis Gallery (Santa Monica, CA), highlighting pairs of artists with a shared history of conversations about their work. More on "Conversations." 2001. Edited by Lise Patt; published by ICI Press, Los Angeles. The writings collected here use Walter Benjamin's landmark 1937 essay "The Work of Art in the Age of Mechanical Reproduction" as a springboard to apply Benjamin's insights to a diverse selection of topics. Presented in the book's margins are excerpts from The Manual of Lost Ideas, together with a commentary on the Manual by Arturo Ott. I designed this book under my design alias of forger.com . My design uses my 1999 Checco font. There are three different editions of this book. 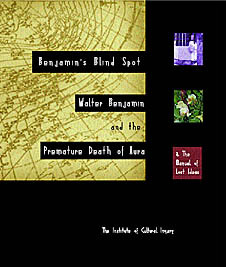 Get the trade or commemorative edition here: Benjamin's Blind Spot. The special edition is out of print. published by ICI Press, Los Angeles. In 1928, Georges Bataille published his "pornographic" novella Story of the Eye under the pseudonym Lord Auch. Infamous in its own day, Story of the Eye has since become a pivotal text for art history, literature, and cultural criticism. This volume presents essays, artworks and research related to Story of the Eye. It is the only anthology to reproduce the original prints created by André Masson and Hans Bellmer for the first two editions of Story of the Eye. I designed this book under my design alias of forger.com. More information on the book. Get the boxed "eye" edition. Get the clamshell collector's edition. 1995. Online performer-writer in role of Carl Jung; created and directed by John Galt. Institute of Cultural Inquiry.